The signal-box was closed in 1934, from 1908-1934 the signalman was John T Brown. 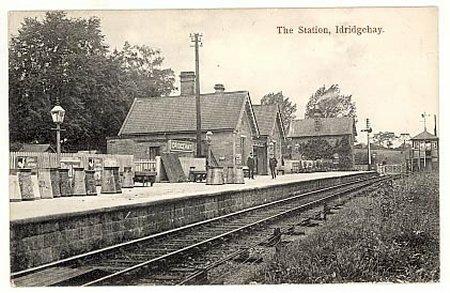 Top photo 15 milk churns, 2 porters, Post Office parcel barrow, station name "Idridgehay", gaslight, crossing gates closed, signal box, signal unpegged. 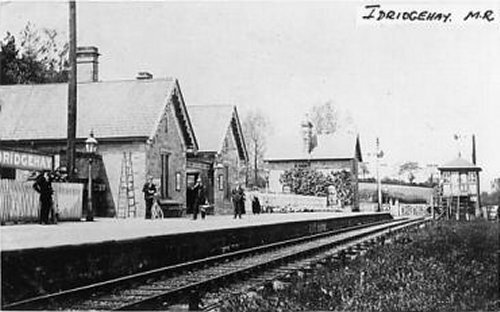 Bottom photo Station name "Idridgehay", 4 station staff, gaslight, ladder, crossing gate closed, signal box, signal unpegged.